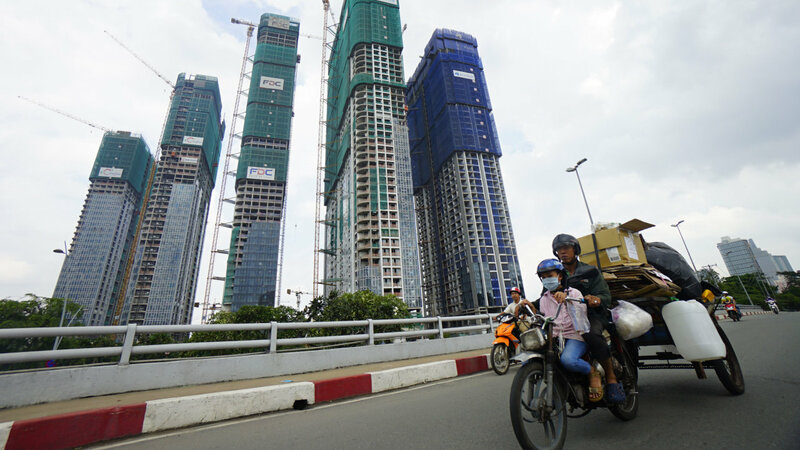 A rising number of investors in Ho Chi Minh City have been targeting the lucrative real estate market over the past couple of years. As traditional investment channels such as gold and U.S. dollars become less reliable, investors in the southern metropolis have begun directing their resources toward the realty sector. The real estate market has become a frequently-discussed topic since the beginning of 2016. Minh Hanh, one Ho Chi Minh City resident who has managed to accumulate some VND1 billion (US$44,272) in savings, said that she used to invest in gold and dollars whenever she saw an opportunity. Gold and dollar prices in Vietnam have been decreasing in value of late, making it not worth the risk, Hanh continued, adding that she was seeking potential form other channels including stocks and real estate. According to Tran Thanh Hai, an expert in the field, people are less inclined to invest in gold due to tightened management policies enforced by the State Bank of Vietnam. The number of businesses permitted to trade in gold is limited, while local banks will no longer issue loans in the form of gold, Hai explained. Gold has also been losing value since 2010, resulting in unstable profit and even losses for those storing it, she added. Duc Vinh, residing in Go Vap District, Ho Chi Minh City, said that he and his wife had bought a 66 square meter piece of land in a residential area of Binh Thanh District for VND2.6 billion ($115,108) in October 2016. “I originally purchased the property to build a house, but its price has skyrocketed ever since,” Vinh stated. “In early April this year, someone wanted to buy the land for VND3.5 billion [$154,954],” he continued. Not as fortunate as Vinh, The Kha, a resident from Phu Nhuan District recalled his own case with regret. In 2013, a real estate agent offered Kha a piece of land that was part of a housing project in Thu Duc District for VND1.5 billion ($66,408). The man turned down the offer based on the location being too far from the city’s center. “Now, the property is being sold at three times the price,” Kha said. According to Hoang An, another broker in District 12, more and more people are eyeing the real estate market thanks to its high potential, unlike in the past when land prices were low but difficult to trade. About VND238 trillion ($10.5 billion) worth of bank loans have been used in land purchase in Ho Chi Minh City, said Nguyen Hoang Minh, deputy director of the State Bank’s southern branch. Statistics from the Ho Chi Minh City Real Estate Association, reveal that the growth of real estate credit in the first six months of 2017 was recorded at 6.35 percent, about 1.35 percent higher year-on-year. The number of real estate businesses in the southern city is also mushrooming. About 18,000 new companies were established in the first half of this year, one-third specializing in the realty sector.